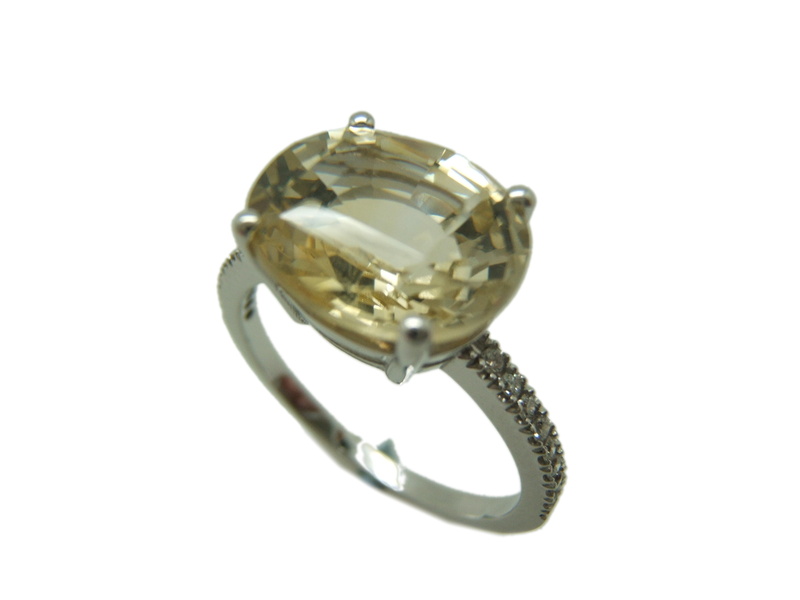 Ring made by master artisans in white gold with palladium 750/000 with a yellow Sapphire and brilliant-cut diamonds, ready-to-side and side of the centre. Measurement of ring: 12 tatum. Weight of sapphire: 4.89 carats.Weight of brilliant-cut diamonds: 0.10 carat. Weight of white gold: 2.25 grams. Made by Master Craftsmen with a tradition of jewellers since 1910.